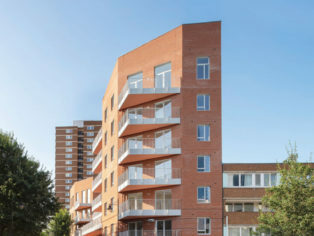 While only a relatively modestly- scaled development with 27 homes, Marklake Court is being seen as an exemplar of a community-led social housing project. Jack Wooler spoke to Hari Phillips, director at project architects Bell Phillips, about how the south London residents rose to the challenge. A new community-led social development near London Bridge has been built that sets an example for the quality that developments led by dedicated tenants can produce. In 2015, Southwark Council granted planning permission for 27 new council rent homes, named Marklake Court, to be added to an existing 1960s estate in Bermondsey. With space being limited, the project team utilised a site previously containing little-used garages to home the new residences. The development comprises a mix of apartments and maisonettes, including three fully accessible homes. At a density of 302 units/hectare, the dwellings are sized for between one and six residents, allowing the development to cater for a range of users, from downsizers to growing families. 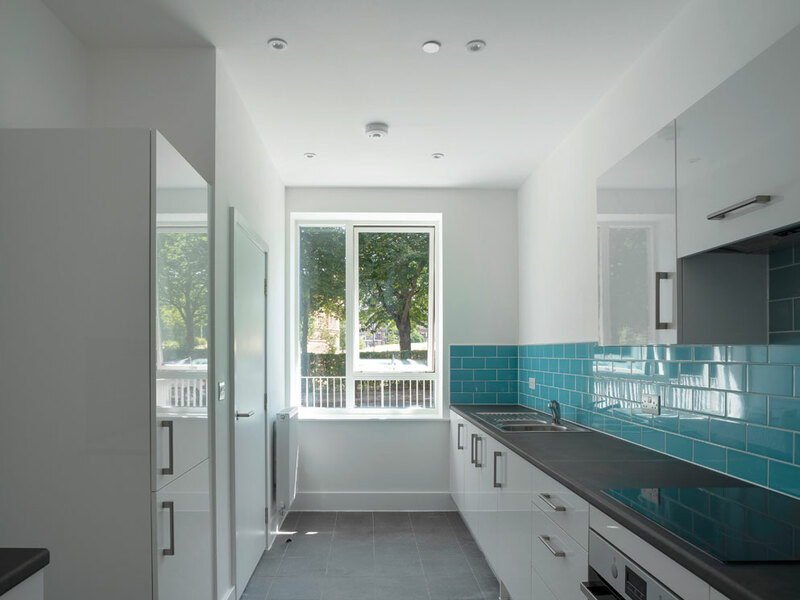 Aided by the local authority, along with igloo Community builders and Bell Phillips Architects, the local residents of the Kipling Estate have taken the helm in the project, and manage the completed building. 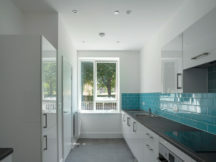 Intrinsically linked to the design process, prospective residents from the estate were given the opportunity to customise their own flats – in part to appease the reported 30 per cent of residents who were previously living in inappropriately sized homes – and took a leading role in the design process. 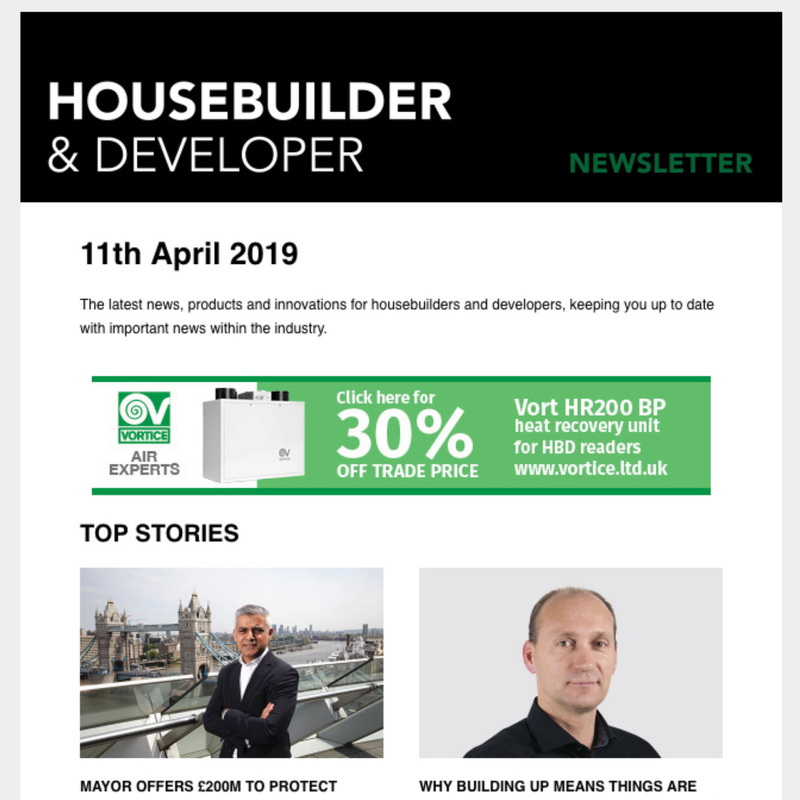 This innovative approach to development is not just a landmark in community building, but has created new homes in an underused site, and freed up old homes for Southwark council’s waiting list. affordable housing in the local area, as well as the apparent over- and under-occupied Kipling households. As a result, the residents came to the Leathermarket Joint Management Board (JMB) for aid. Said to be a popular and trusted tenant management organisation, the self-managing tenant group operates on behalf of 1,500 council tenants and leaseholders in Southwark. In response to the concerns, residents from the Leathermarket area established the Leathermarket Community Benefit Society (CBS) in 2014, intending to bring forward the new homes. 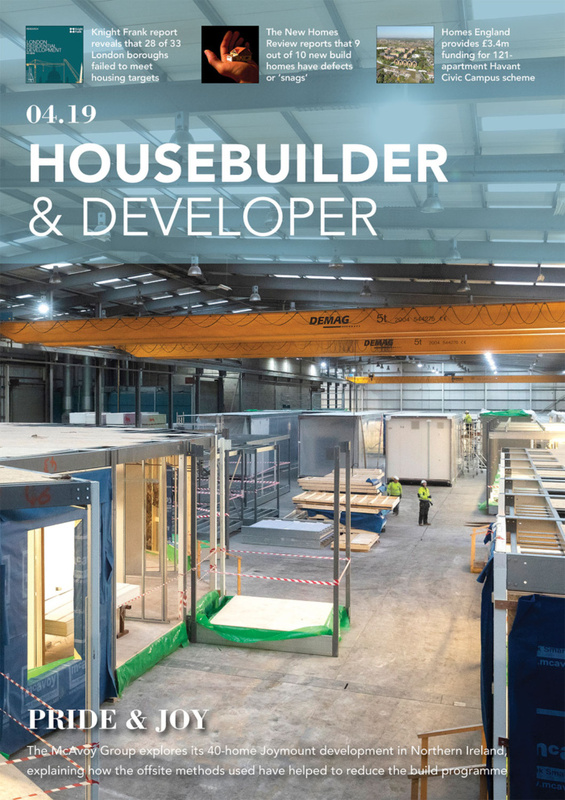 With a need for professional support to develop the homes being recognised, the CBS collaborated with regeneration experts igloo Community Builders. They acted as development manager, in order to inform and guide the residents, taking them through each step of the development. First of all, space needed to be found for the new homes, in what is an already highly-developed zone of London. Twenty under-utilised garages on the Kipling estate were identified by the Kipling Tenants and Residents association (TRA) as a potential site. This infill site was chosen because it was small, within the JMB’s management area, and it closely bordered the homes of existing residents, ensuring simple decantation for relocated tenants. funding from the Greater London Authority, the development got underway. Throughout the design process, Bell Phillips worked closely with local residents. According to the architects, consultations began with a “blank sheet of paper,” and there were no preconceived ideas about what the project should be. It is through this approach they took that the architects believe an authentic response to the community’s needs and aspirations has been created. At each stage of the three year-long development, residents worked alongside the team on the designs. The architects listened to individual members of the community, collected their comments, and then demonstrated how the designs would respond to this feedback. “Through extensive and detailed local consultations with the local community over the course of a year the team was able to build trust, consensus and utilise local knowledge. This approach made it possible to reinforce the strong existing sense of community in the area. As part of providing this level of personalisation, a formal housing needs assessment was conducted during the neighbourhood planning phase back in 2014. This identified households in the estate who were either overcrowded or under-occupied, and subsequently prioritised them for the new homes. “The residents were identified at an early stage of the design process. This put the architects in the unusual position of having the opportunity to discuss both the overall design of the building and more detailed aspects of their flats with the residents, giving them a greater voice in the design process. “As the detailed design of the flats progressed, a brochure was put together which was given to each household from which they could select alternative options to customise their own homes,” Phillips added. Options included paint colours, tiling colours to kitchens and bathrooms, floor finishes and colours, kitchen unit and countertop finishes, and open plan, semi-open plan or cellular kitchens. With every aspect of the building being discussed with the residents, the existing community was brought together and strengthened. This ensured that residents would already know their neighbours, even before they moved in. As to the project’s eventual shape, the building’s height and massing was intended to “repair a fragmented urban grain,” result- ing from wartime bomb damage and the subsequent postwar development which sat at odds with the historic nature of the Bermondsey Street Conservation Area. 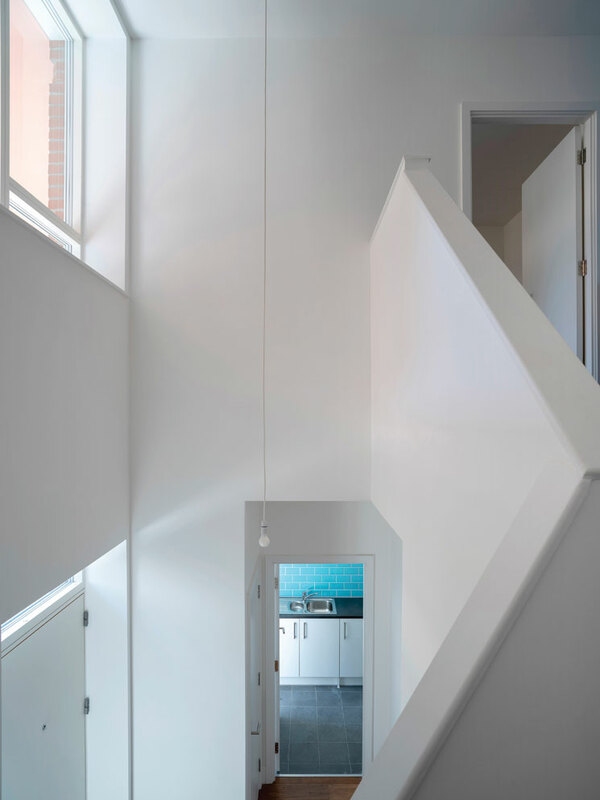 The height also had to respond accordingly with the residents’ intention that it should not be too tall, and should also allow good daylight levels to the adjacent communal garden. The project comprises three elements, two blocks with sloping roofs of seven and five storeys, connected by a three-storey portion with a communal roof terrace above. This arrangement forms an L- shaped wedge that extends across the existing street frontage, embracing communal open space to the rear. “The highest element of the building sits adjoins the gable end of the adjacent housing block where the new building would have least impact on neighbouring properties. Flats in this new block benefit from views in two directions across surrounding public space. 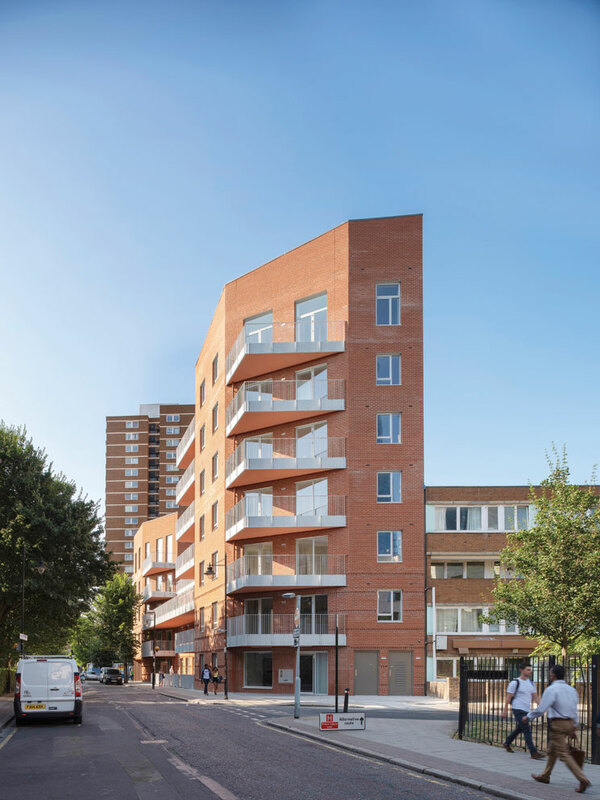 In order to ensure the development would feel like an integral part of the existing estate, and avoid any negative impact on the local streetscape, as residents were keen to ensure, red bricks were specified to maintain a strong visual coherence with the local area. Sat on a trapezoidal site, the development overlooks multiple adjacent open spaces, with Guy Street Park to the North and Leathermarket Gardens to the east. Views of these spaces are afforded to many of the residents, with all the homes, either dual or triple aspect, offer floor to ceiling heights and windows that deliver copious amounts of daylighting. In order to produce a community spirit, a notion held throughout the project, Phillips told that balconies were designed “to encourage social interaction,” as well as “generous communal entrances” including seating areas to encourage residents to interact. To the west the building gives on to the existent shared communal garden, further strengthening the connection with the existing community. Some of the sustainable features include a highly insulated and airtight building envelope, including triple-glazed windows, a centralised combined heat and power (micro-CHP) unit, photovoltaic panels, mechanical ventilation with heat recovery (MVHR) throughout, green roofing with wildflower planting, sustainable urban drainage measures, low energy light fittings and appliances, and low water-usage fittings. The future is likely a bright one for this community-led style of development. LCBS will begin construction of their second development of 40 affordable flats and houses later this year, and have commenced early consultation on their third development. Hopefully, with the success of the development now being evident, Marklake Court may serve to inspire communities across the country to undertake their own projects. 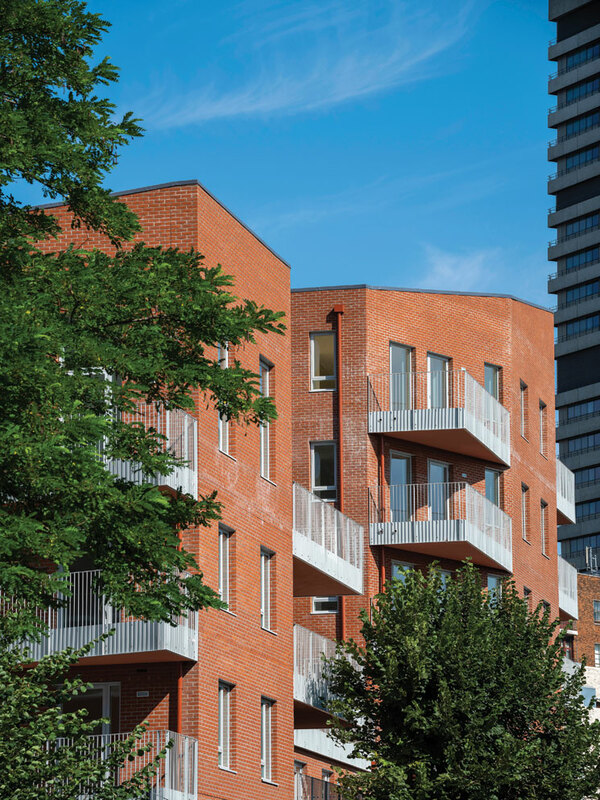 The Kipling Estate has in effect proved that residents can create their own opportunities when it comes to improving their housing, with developments built by the community, for the community.